I know this weekend in the US is all about freedom and men who died for it. However, my celebration started a little early. Every year a local furniture store has a tax free sale. Last year we bought our dining room table and chairs. This year, I got silence. That’s right, silence. Do you want to see what silence looks like? Now, I know this is not what you were expecting, but let me explain. I hate recliners of all kinds. I think they are ugly. It also probably has to do with the fact that I had to sleep in one the last month of my pregnancy due to severe heartburn. But, mainly, I just think they are ugly. 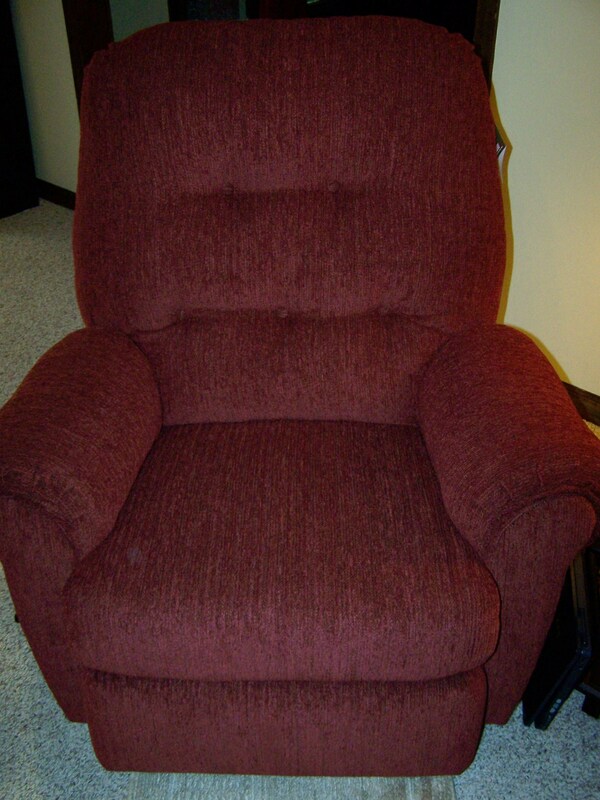 For the past 4 years, my husband has been rocking away in a extremely ugly blue recliner. It has bald spots on the seat in the shape of hubby legs. It also squeaks and moans so loud that we have to turn up the TV. Above and beyond the noisy rocking, it did not match anything in the house. So today we took advantage of the tax free sale and bought me peace and quite. The bonus is it now matches. Aaaahhhh! Beautiful, matching, silent rocking. There has also been knitting. I know this looks the same as the photo from yesterday, but it isn’t. This is the second leg of the pants. 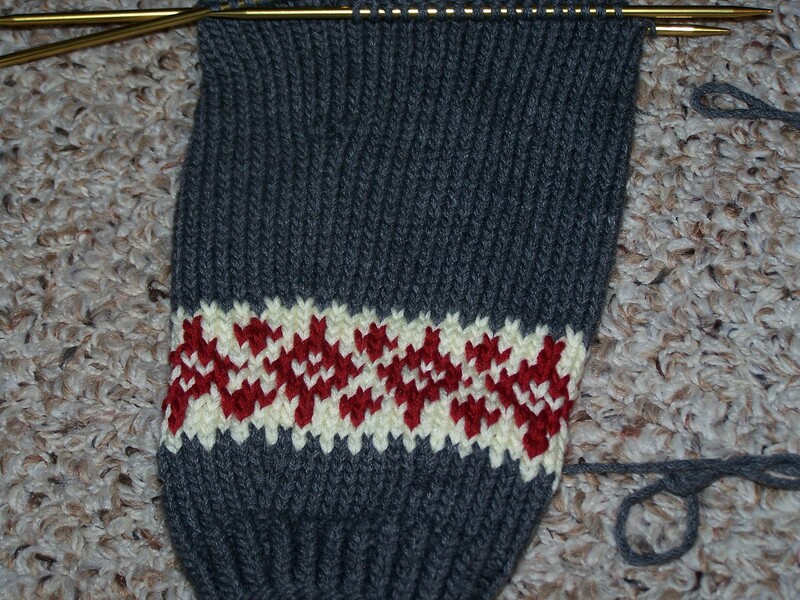 Last night I stopped right before the colorwork. So, that is a lot of knitting for me today. I am hoping to finish the leg tonight. Only about 5 more inches to go. I am right on track for finishing the project this weekend. I will try to post this weekend, but we will be out of town. I am not sure how accessible the internet will be. So everyone have a wonderful holiday weekend.